The Freshness of Snapple is a nation led by The Best Stuff Filtrated Water on the continent of Australia. The Freshness of Snapple's government is a Absolute Monarchy with very liberal social policies. Economically, The Freshness of Snapple favors far left wing policies. The official currency of The Freshness of Snapple is the Bus Tokens. At 91 days old, The Freshness of Snapple is a mature nation. 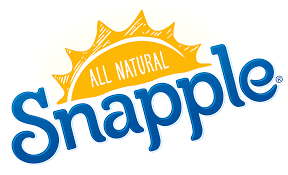 The Freshness of Snapple has a population of 109,021 and a land area of 2,500.00 sq. miles. This gives it a national average population density of 43.61. Pollution in the nation is evident. The citizens' faith in the government is completely depleted with an approval rating of 0%. We are here to make The Best Stuff on Earth. 01/24 06:26 pm - Snapple declared war on the kingdom of the usa for the reason of "YEEEEEET". 01/22 05:50 pm - Snapple left the alliance Guardians of the Galaxy. 01/19 01:54 am - Snapple applied to join the alliance Guardians of the Galaxy. 01/19 01:53 am - Snapple left the alliance Rough Riders.